She? Yes, only she. 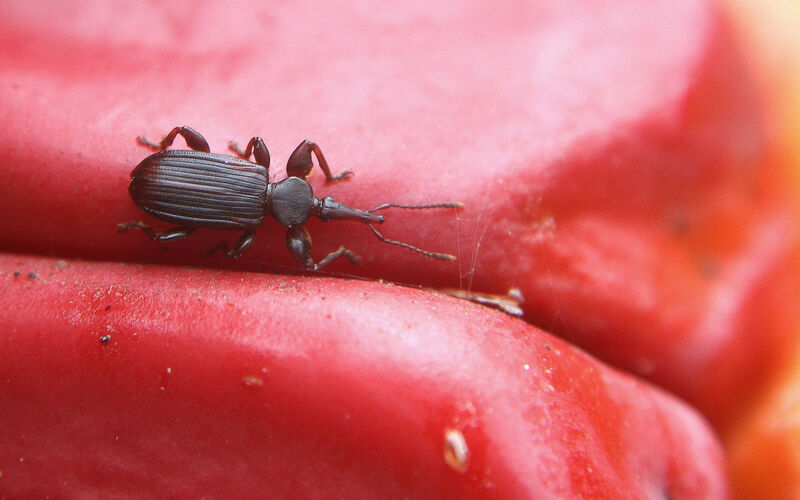 He has very ordinary mouthparts – for a weevil that is. This next lady is a wasp. We all know wasps have stings, but this long? Yes, and some wasp stings are even longer! A female wasp uses her long ‘ovipositer’ to poke around in plant stems, buds, or under bark (depending on the species), where she probes for a suitable spot to lay her eggs: a larva of some sort – a caterpillar or beetle grub for instance. 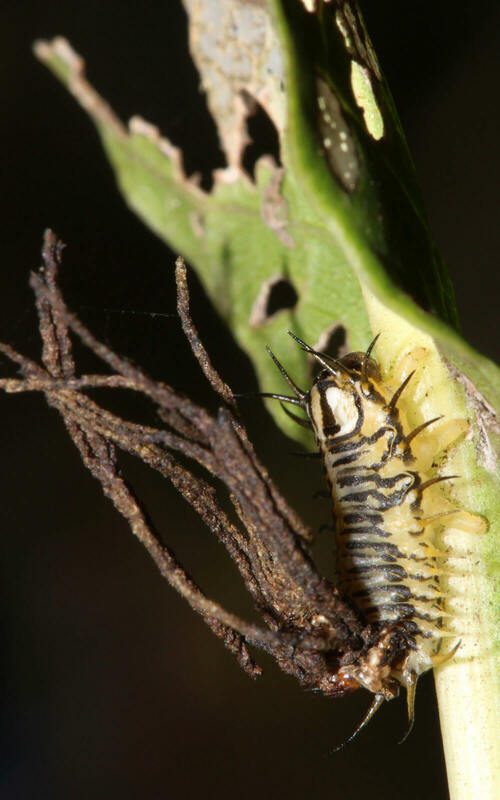 After hatching, the wasp larva then eats its victim from the inside. 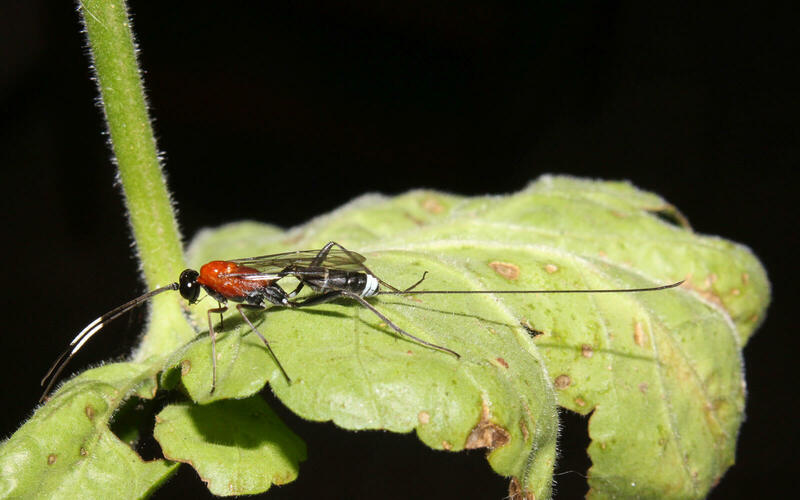 Parasitic wasps play a vital role in nature. They keep many potential plant pests at bay. The larvae are highly specific, in that each wasp species usually attacks only a few, or even a single, particular prey species. Once again, only she has this long appendage. He does not have an egg laying instrument of course. And so he-wasps do not sting either. Here is yet another girl – a katydid. Her long rear-end appendage is also an ovipositor (‘egg-layer’). It is shaped like a scimitar, and is used to slice into plant stems. Once again, he lacks this amazing gadget. But he can sing! 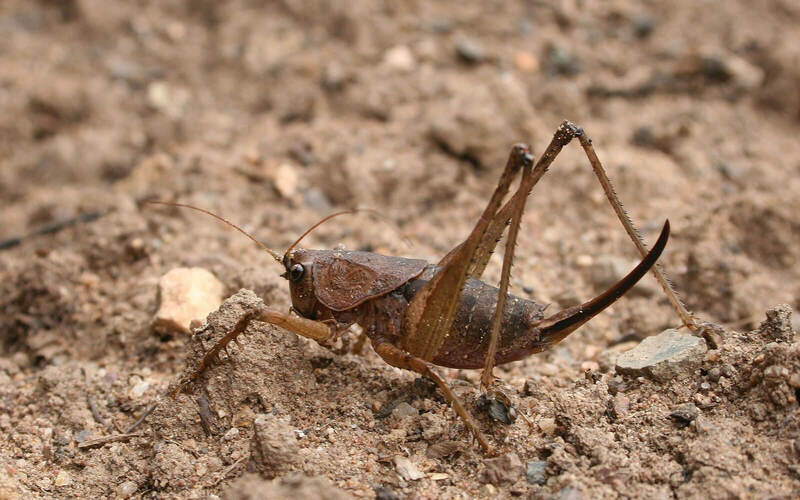 Unlike the continuous loud chirrups made by common crickets on the lawn at night, this katydid sends out a single, almighty, ear-splitting screech, followed by a very very long pause, so you struggle finding him. Ok, let’s stick with hims for a bit. 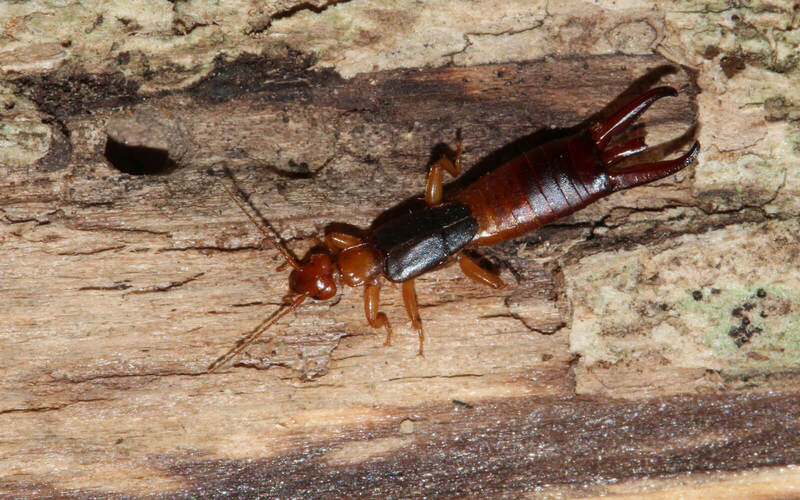 Here is a male earwig. Those rear-end pincers are veritable swiss army gadgets, used in self-defence, for hunting, as a wing-arranger-folder-upper-gizmo, and for showing off with the ladies. In fact, the bigger the better! She earwigs also have pincers – slimmer than the males’, but just as effective. Females use their pincers to protect their young against other hungry cannibal mothers. Again, size wins. This tiny springtail (not strictly speaking an insect, but a close six-legged relative) has a fork-shaped gadget on its behind. The micrographs below show how the springtail keeps the appendage clamped underneath its body. 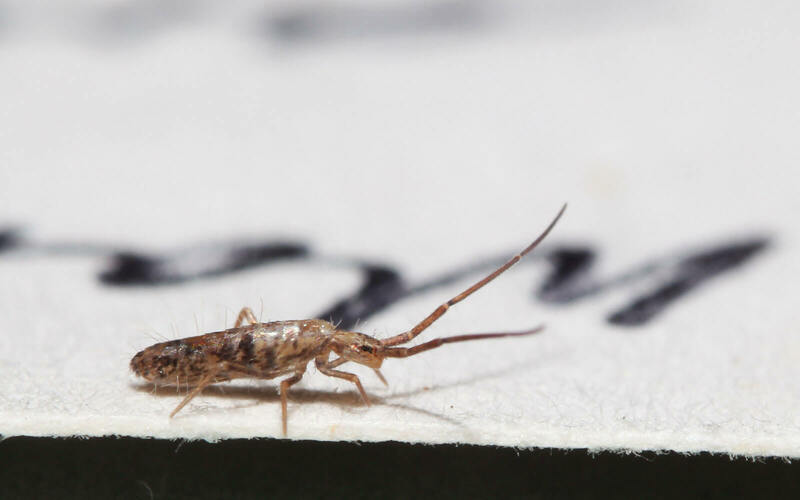 But when it needs to go somewhere quickly, it releases the catch and instantly the spring-loaded ‘furcula’ flicks out and launches the springtail off on its brief journey. 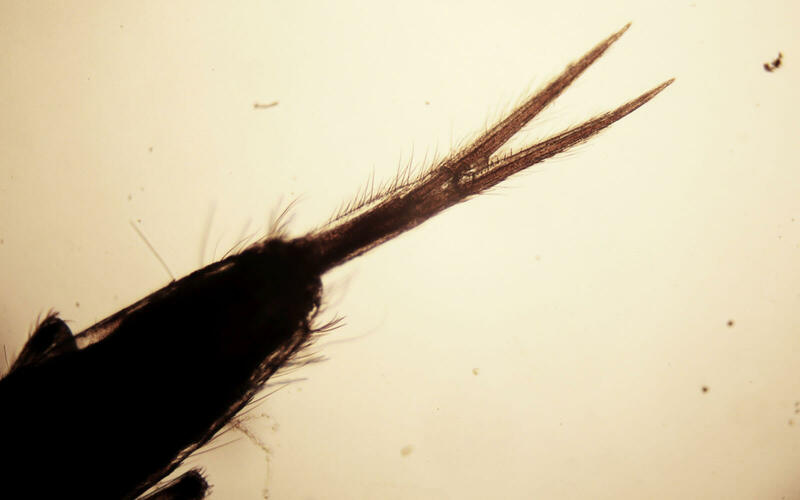 Springtail under a microscope, showing the furcula clamped in place underneath the abdomen. 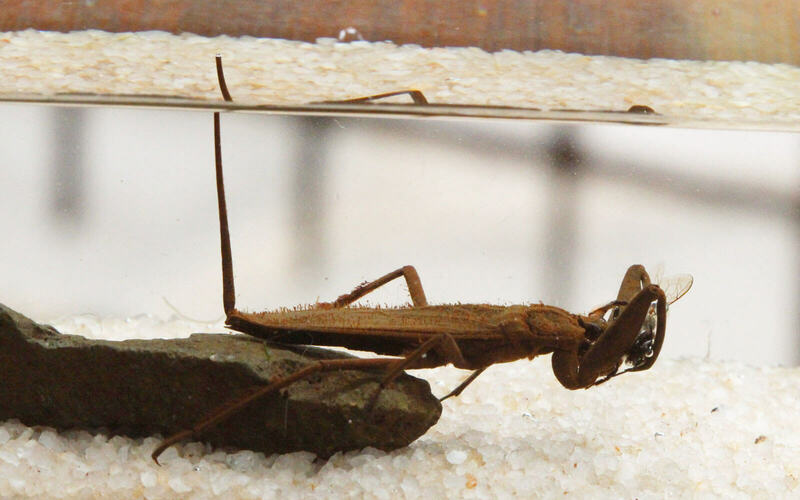 The water scorpion also has long, dangerous-looking rear-end gadget. However, it is neither sting, nor spring, nor sword. It is a snorkel. And why is the snorkel on the rear end instead of the front end? Because insects’ air holes are on their bodies, not on their heads! Water scorpions lurk in shallow streams where they catch and devour other aquatic creatures, or the odd drowning bee. 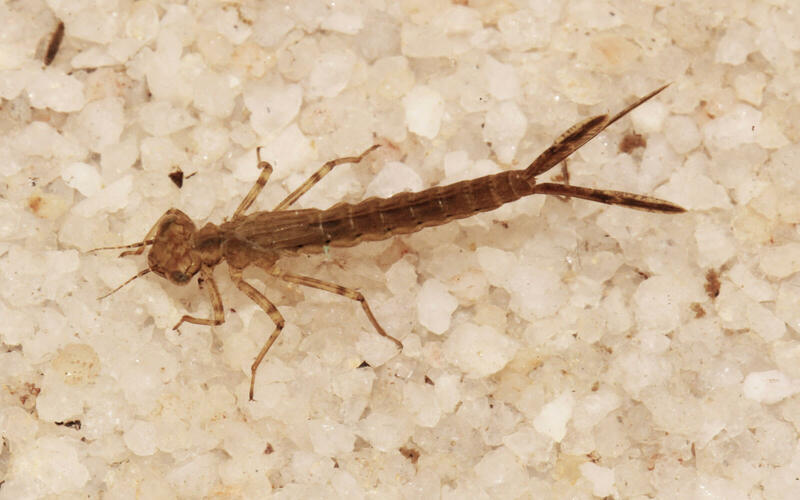 Here is a baby damselfly (damselflies are the daintier cousins of dragonflies). This creature also lives in water, one of various ‘aquatic creatures’ the water scorpion would take a culinary interest in. Those three rear-end paddles are in fact gills. 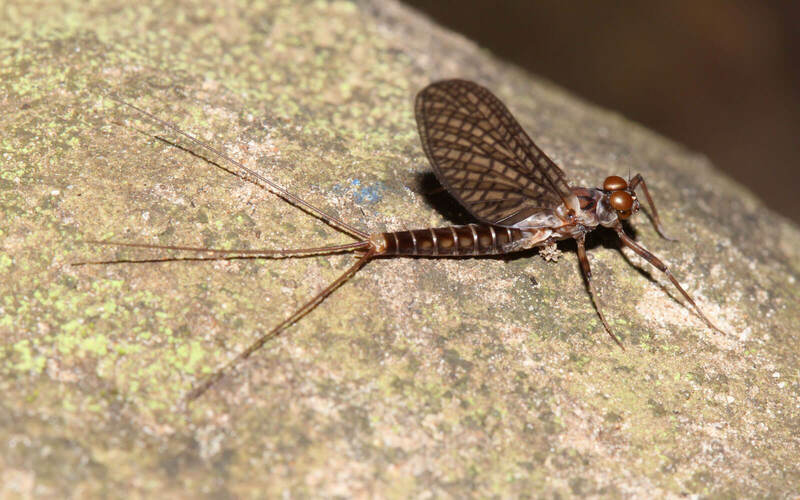 Mayflies also start off their life in water. Both juveniles and adults possess extremely long, whip-like abdominal appendages called ‘cerci’. (Game of Thrones fans will instantly stop and go, “Cerci?” Yes. Cerci. I haven’t figured out what the connection is.) ‘Cerci’ simply means ‘tails’. 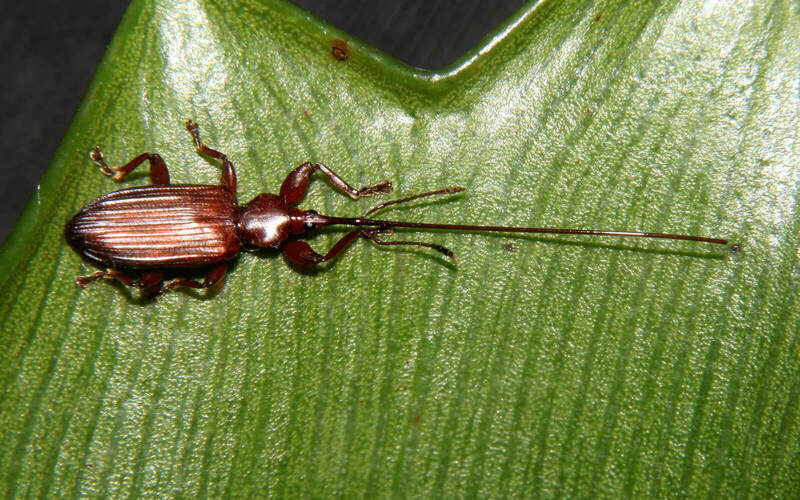 Insects use their cerci as rear-end feelers. Like front-end antennae, they are covered in microscopic sensory hairs, that can sense the slightest vibrations in the ground. If they are long enough, they can also detect a would-be predator in time to make a quick get-away. And how do we know this is a male? Because if you look closely, it has four eyes. (Well, two eyes divided into two parts.) The large, reddish, upward-looking fish-eye lenses are apparently used to spot the outline of females in a swarm, while the ‘second eye’ below sees the rest, and helps to avoid collisions. Females simply don’t have the telescopic parts. So now you know how to tell apart the guys from the girls. 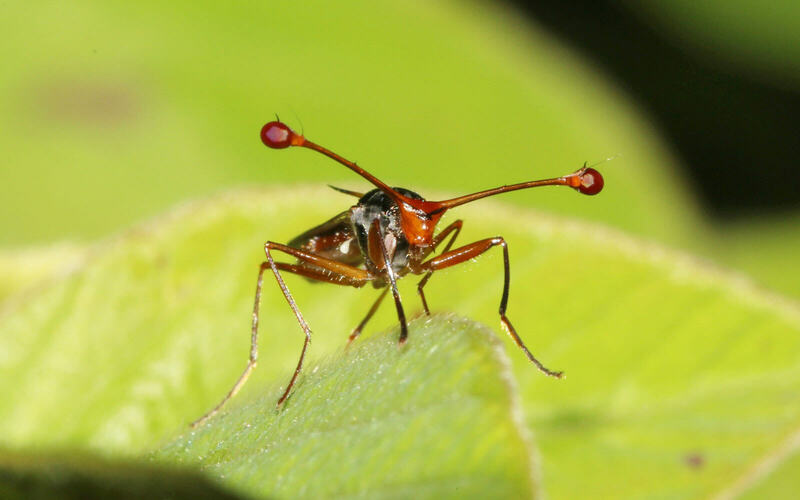 Talking about eyes, how do you like the stalk-eyed fly? Its eyes really and truly are at the end of those stalks. Males are highly territorial, and patrol their leaf with great bravado. If another male dares to challenge the local hero, the two face it off. Literally. Not all ‘appendages’ are actual body parts. Here are two examples: a young planthopper with cheese-twirls made of waxy excretions, and a leaf beetle larva carrying a bouquet of excrement. But why? What for? Does it make them look less edible than they really are? 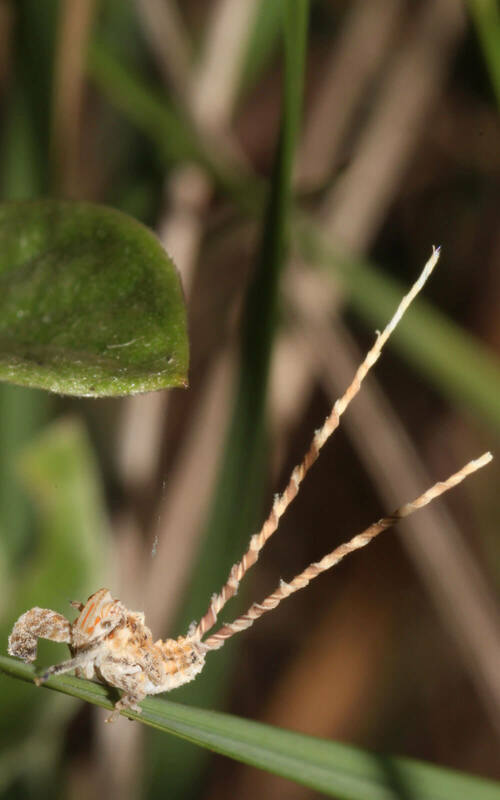 Now we can all take turns guessing what those appendages are for, but since we cannot ask them, we’ll have to shrug and accept the fact: insects are just plain weird! 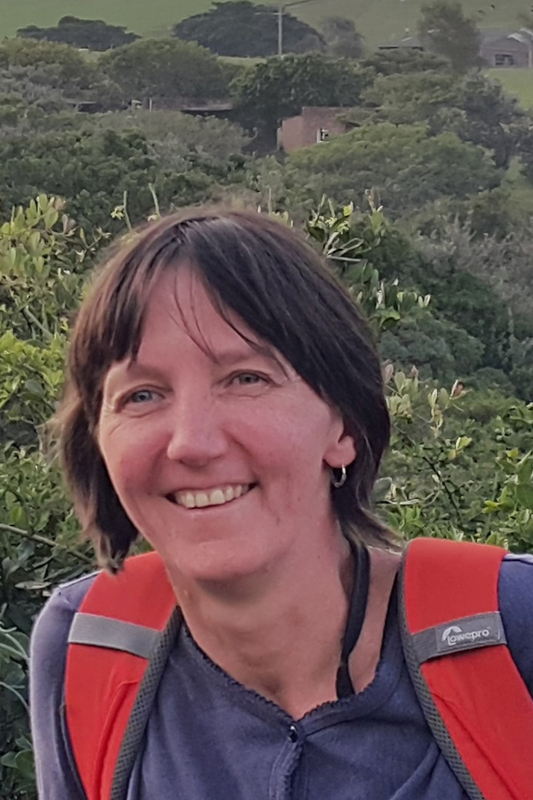 Marlies Craig is an epidemiologist who used to research malaria, but now works for the Intergovernmental Panel on Climate Change. 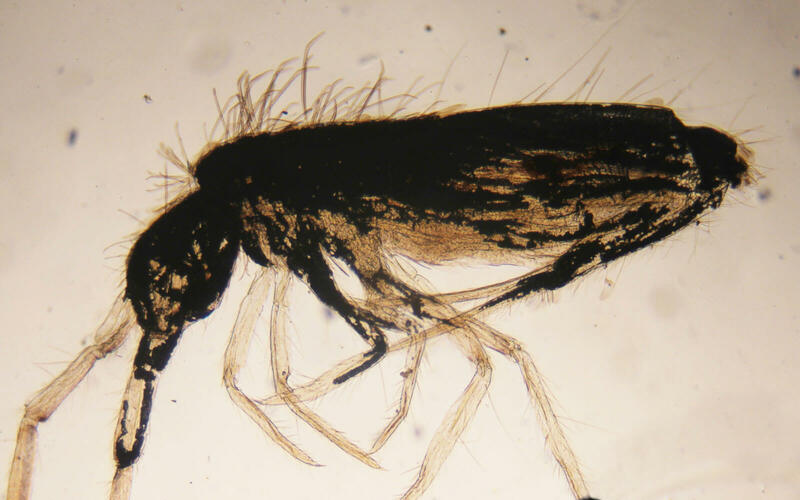 Though she did originally study Biology and Entomology, her love affair with insects is very personal. In her book What Insect Are You? – Entomology for Everyone, she shares that passion with young and old. She hopes to kindle in children a deeper appreciation and understanding of nature and show them why and how they can make a difference. Find Marlies’s website at whatinsectareyou.com.